We are researcher, academician, social activist and students dedicated to saving river Ganga restoring, protecting and maintaining Mother Ganga and Her tributaries in their free-flowing and pristine state. Our major goal to "create large scale awareness and knowledge generation" about prevention, protection and management of rive and promote linkages arising out of interactions between people and water resources in general and Ganga in particular on a sustained basis. Dr. Dina Nath Shukla is a Professor & Co-coordinator, Environment Science, Department of Botany, University of Allahabad. He is well known Plant Pathologist and Environmentalist. 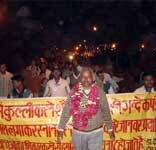 He completed his higher education from University of Allahabad. He did his B. Sc. (Ag.) in 1971 (Allahabad Agricultural University), M. Sc. (Ag.) in 1973; D. Phil. in 1978(Plant pathlogy); D. Sc. in 2001 (Environment Science), University of Allahabad. 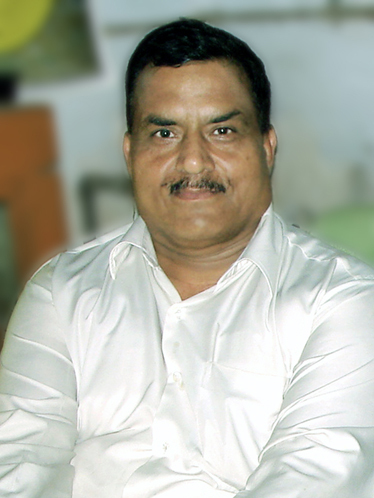 Dr. Shukla had published more than two hundred papers, review articles, abstracts in reputed journal of India and abroad and various newspaper. He has been written many books related to Environment and its Problem. There are 52 scholar awarded Doctorate Degree under his supervision. He is Editor-In-Chief of three magazines- ‘Control of Ganga Water Pollution’, ‘Pavitra Ganga’ & ‘Sringverpur’. 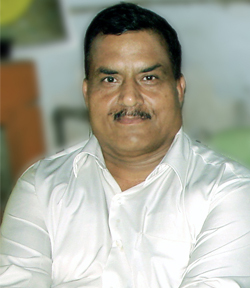 He is actively engaged in various curriculum activities related to environmental awareness and has been organizing a famous Exhibition “Ganga va Yamuna Jal Pradushan Nivaran Pradarshini, Shodh Prasar, Prakriti Sanrakshan evam Paryavaran Janjagaran Mahaabhiyan” for the last 32 years (Since 1981to date) on the bank of Ganga, near Sangam, Allahabad with objectives to create large scale awareness in the stark reality of environmental pollution in general and Ganga pollution in particular. The Exhibition attained a special status for attracting Pilgrims as well as Tourists and the efforts have created a mass movement on the issue. 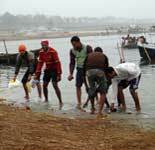 More than 29 crores people visited the exhibition during Magh mela for the last 32 years. A series of events have been organized during exhibition period viz; Seminars, Lectures by eminent scientists related to aquatic ecosystem and its conservation. 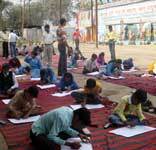 Saint Sammelan, Kavya-Goshthi, Quiz competition, Painting, Debt, Essay, Cultural Programmes, Public meetings etc. 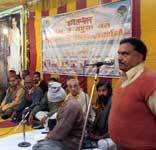 to involve local people various age groups in effort to clean Ganga.. Dr. Shukla try to arouse the sentiments of the citizen with his slogans by leaf lets, pamphlets, audio-video set, booklets, magazines and wall writing etc. 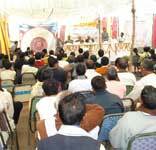 To save the Environment, he organizes a meeting for villagers and farmers to disseminate knowledge about afforestation and significance of Social forestry & Agro forestry with slogan “Hamen Van Nahi Upvan Chahiye”. 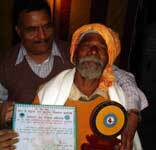 He planted 40, 000 Guvava Plant in the village of Holagarh, Kaurihar, Sorao Block of Allahabad District.